Kirishima Tea from Shutaro Hayashi – Garden in the Clouds. Kirishima is the place, where an ancient deity descended from the sky and landed on the top of one of the Kirishima volcanos. Today, Kirishima impresses us with an unbelievable beauty of its volcano landscape. 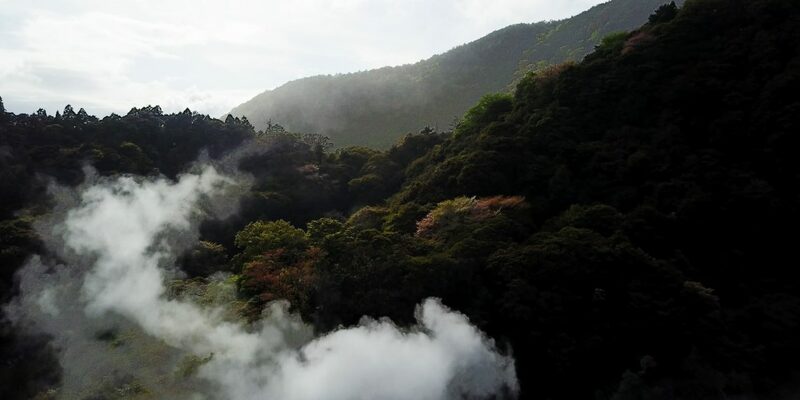 The garden of Shutaro Hayashi is found on the foot of the Kirishima volcanos, with its rich earth and a lot of fog surrounding the tea plants a long time of the year. Being in Kirishima feels like beeing in a fairy tale. Drinking the tea from Shutaro Hayashi is like drinking a drop of a mystical drink from fairyland. The video is produced by Arun Herzog. The music is especially composed and recorded for the video by Fabio Kumori.